Why re-write the book that began the Placemaking movement? What was so revolutionary about the first edition of How To Turn A Place Around, published nearly 20 years ago, was that it walked readers through a very different process from the one that was being used by most urban designers and transportation planners. Instead of a design-driven process, How To Turn A Place Around put forward a new approach to the public realm: the idea of communities that lead with places and people. Built on the foundations of research by public space observers like William H. Whyte, How To Turn A Place Around promoted a collaborative approach — in which the wisdom of the community provides a basis for all public space decisions. The original edition made the case for great public spaces, helped readers imagine a new way forward for cities, and paved the way for widely-used tools like the Place Game, which has since been used in thousands of communities all over the world. Perhaps most importantly, it was a point of entry for countless people to become familiar with the ways Project for Public Spaces observes and thinks about public spaces. Since then, we’ve continued our work and we’ve expanded and refined our toolbox of techniques. 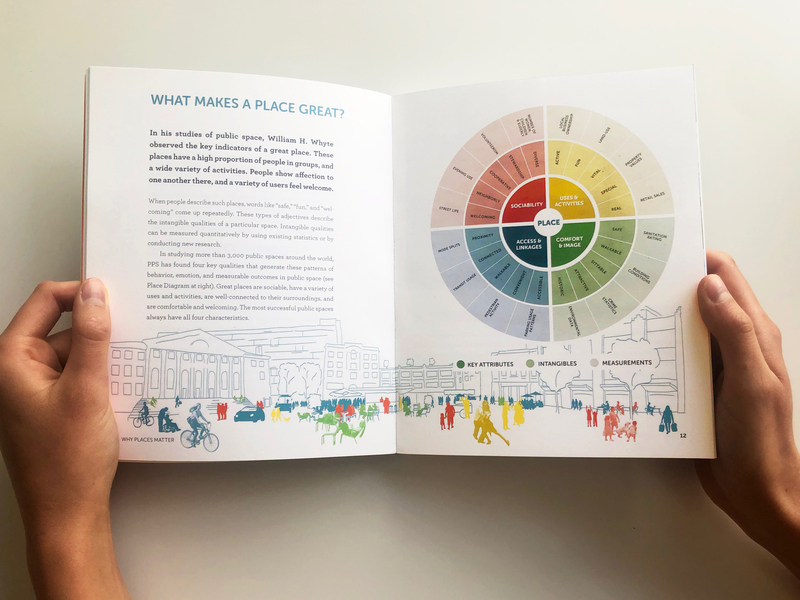 Now, as we release How To Turn A Place Around, Second Edition, we have practical new tools like the Power of 10, alongside vibrant color photos and diagrams that guide readers through the placemaking process, from community engagement to place management. A new edition of the book that started the placemaking movement. From its start, the driving force behind How To Turn A Place Around has been Project for Public Spaces co-founder Kathy Madden. Throughout her 40+ years at PPS, Kathy built up the research that provided the foundation for placemaking alongside co-founders Fred Kent and Steve Davies. But the insights she contributes to How To Turn A Place Around originate in the early 1970s, when she began carefully observing public spaces during her time at Parsons School of Design. 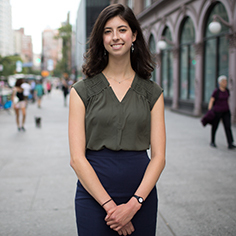 Kathy began by observing places like First Avenue, where she used a Jane Jacobs-inspired approach that incorporated interviews with local store owners. After that, Kathy worked with the Parks Department, using her observation skills to help design a new standard park bench for New York City. By the time Kathy became a co-founder of Project for Public Spaces in 1975, she had become an expert in observing public spaces, with a special focus on how people use them and interact in them. In the mid 1970s, a time of financial difficulty for New York City, the opportunity for public space experimentation was ripe—giving way to the types of in-depth public space analysis for which Project for Public Spaces is best known. PPS had the opportunity to observe and weigh in on the redesign of iconic places like Bryant Park, becoming a part of a project that truly renewed the character of a space once deemed unsafe by locals. Providing a new model for how urban parks could be built for people, Project for Public Spaces built its reputation as the hub of a new movement toward better public spaces. New placemaking graphics in the second edition of How To Turn A Place Around. Kathy speaking at the 2013 Placemaking Leadership Council meeting in Detroit. 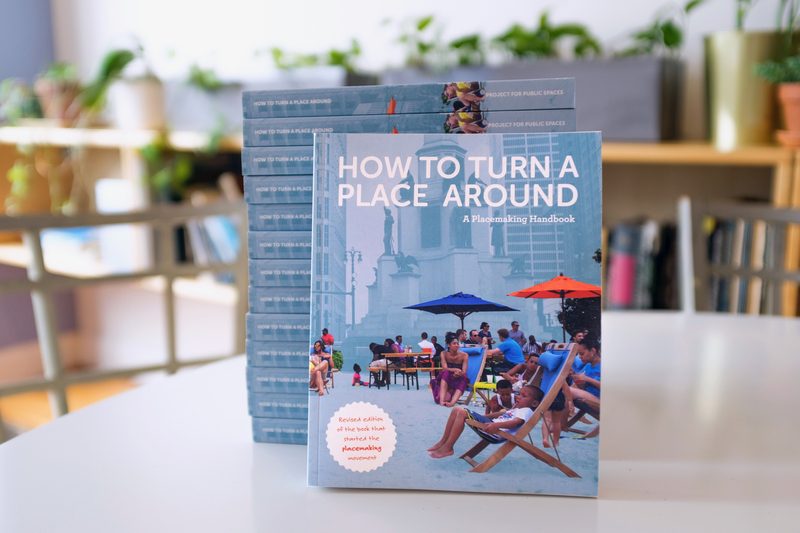 The term “placemaking” only took hold later, further solidified by the publication of the original How To Turn A Place Around. And since then, Project for Public Spaces has pioneered powerful strategies for deep community engagement, along with tried-and-true techniques like “Lighter, Quicker, Cheaper” public space interventions. Both the updated version of How To Turn A Place Around and the original edition are available for sale in our Store.